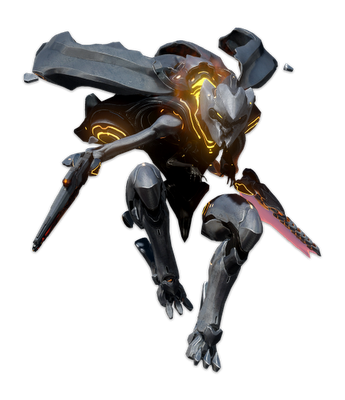 What is a Promethean Knight from Halo 4? Residents of the artificial world of Requiem, Promethean Knights represent the central occupying enemy force, legions of extremely capable combatants with both ancient and mysterious origins. While these Prometheans are significantly different from the legendary Forerunner Warrior-Servants of ages past, these Knights are no less harrowing. They are fully weaponized, heavily armored bipedal warriors, easily capable of engaging and terminating perceived threats in almost all environments. They are truly lethal creatures, taken lightly only at one’s peril.